May 31st Cathexis Photography Event Photos. This insert taken from Simon's Cardoza's post from http://www.Photocrew.com 's website. "Freud coined the term "Cathexis" to describe the concentration of mental energy on one particular person, idea, or object. Eight of LA's hottest emerging photographers each have their own take on the investment of mental, creative, and perhaps even libidinal energy in this group show. The works are varied, but share one unifying theme: cathexis. The artists involved include Javiera Estrada, Amir Magal, Rebekah Boyle, Erick Charles, John Fitzpatrick, Mark Bennigton, Simon Cardoza and Cary Sullivan. 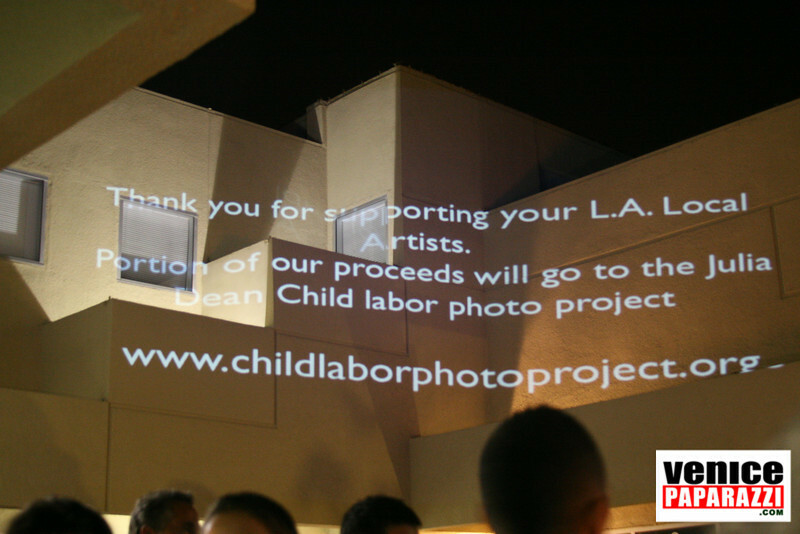 Portions of the event's profits benefited the Julia Dean Child Labor Photo Project. For more info: http://www.cathexisart.com V.P's Shout Outs: Thanks to Amir Magal. If I hadn't bumped into you at the garage sale, I wouldn't have known about this great event. Also you guys have to check out this beautiful songbird Debi Nova . When she sings everyone stops to listen.